With the rise of ringtones and the proliferation of increasingly more sophisticated handsets, cell phones are moving ever closer to becoming true mobile music machines. And while the audio quality possible on handsets does not yet rival that of portable music players, the commercial success of ringtones shows that there is promise for driving music sales and the potential for for better applications as the technology allows it. With these technical capabilities have come some business decisions. How will subscribers pay for this content – per song, on a subscription basis, or some other yet to be devised plan? What is the income model for the content creators such as the musicians and songwriters whose works will now be seen on portable devices? How will the carriers participate? How will the record companies get paid? How can mobile music file transfers be secured against the type of file-swapping endemic to the PC platform? Here’s one excellent example of successful mobile music business model, SK Telecom’s ‘MelOn’. 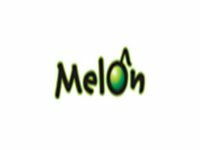 South Korea’s largest cellular company, SK Telecom, has provided a mobile music portal service called ‘MelOn’ since the end of 2004. MelOn is the first integrated, wired and wireless, music service that allows users to enjoy music virtually anytime, anywhere using a portable MP3 player, a PC, or a mobile phone. The main MelOn interface is music download and streaming Internet portal, www.melon.co.kr. The service is akin to a rental service, with users “renting” tracks on a monthly basis for use on various terminals. 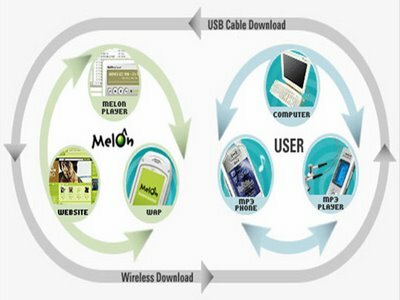 MelOn users pay a 5000won(US$4.50) monthly subscription to stream music to a PC or wrappers on the music guarantee a subscriber is current, and tracks are erased from the end user’s library at the end of the subscription period. To download tracks onto the handset, users pay for airtime at regular call rates, regardless of the size of the track. The key to the model is its ubiquitousness, downloads are possible using wireline and wireless platforms, and a relatively affordable monthly subscription fee. SK Telecom acquires the rights from the record companies for music to use as ringtones, ringbacks and full version downloads. Music companies are not necessarily enamored by the scheme, but SK Telecom has generally used its market heft to have its way. To further strengthen its position, SK Telecom acquired Korea’s YBM Seoul Records, reportedly Korea’s largest record company. The MelOn service has received tremendous response from the marketplace, with the number of purchasers and paying subscribers virtually doubling each month. As of early June 2006, MelOn had recorded almost 4.5million subscribers; the number of paying subscribers that enjoy an unlimited amount of music for a monthly flat fee increased as well, reaching 0.6million. According to SK Telecom, the site ranked first among Korean paid music sites in terms of revenue. Thank you for sharing information about UGG. Police found Orta’s body inside his car’s trunk on Sunday; he had apparently been strangled.The commission did not provide a possible motive for his killing.